With the environment becoming more at risk, and prices of things rising faster than we can keep up with people are constantly searching and investing things that can save them money and in products that are either beneficial to the environment or don’t harm it. The advantages of LED lights in your home are endless and can really bring character to your home. Are There Disadvantages Aswell As Advantages Of LED Lights? 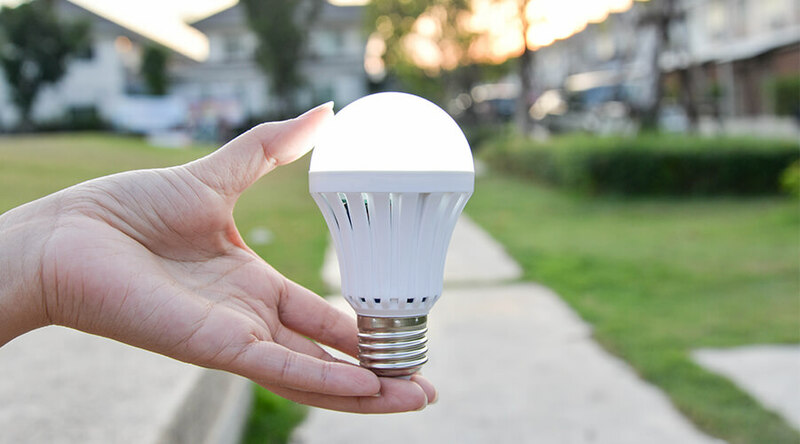 Of course like everything LED lights have their downfalls, but a number of benefits overrule the small major downfalls, and the LED light bulb has been named one of the most helpful eco-friendly products to recently see the market. So what makes the LED light bulb so handy and why is it so widely used within British homes? In this article we are going to discuss some of the advantages of having LED bulbs withing your home – so keep reading! Although this one is rather obvious and everyone is aware that these light bulbs were designed to save energy, and they have a lot more of these energy saving properties than you initially thought. Being one of the latest forms of lighting, LED bulbs are estimated to use between 80%-90% of their energy as opposed to the average lightbulb. This statistic means that roughly 80% of everything that is produced by this light bulb is converted into light energy and a mere 20% of the rest of the light bulb’s energy is produced as excess energy such as heat. So if you think about it this way, you have the average light bulb fitted in every room of your house, if you’re paying £200 to light your home then 80% of that is going to waste – so £160 is what you are paying for a light bulb to heat your room. LED lightbulbs easily outlive a typical light bulb and it is one of the main benefits. The operational time of a LED light bulb can prolong up to 100,000 hours before you would have to change the bulb, which equates to around 11 years of optimum performance if used on a fixture for 8 hours a day. Unlike the typical light bulb LED bulbs do not burn out. Instead, they just slowly dim and become less and less bright until it slowly dies out. LED lights are one hundred percent free of toxic chemicals, as opposed to a normal lightbulb that contains harmful elements such as mercury that are not only dangerous for humans but also harm the environment. These light bulbs contain no chemicals and are widely recycled; this helps you decrease your carbon footprint by a vast amount and allows you to do your part in saving the environment – just by having eco-friendly lightbulbs in your home. Just one LED light bulb can save and produce the same amount of energy that a standard light bulb would, and one of our electricians in Milton Keynes would be more than happy. These light bulbs are the key to a greener more eco-friendly future and are one of the simplest things we can do, in the comfort of our own home to help save our planet. LED bulbs can withstand rough conditions, and are built with sturdy elements to help them resist harsh conditions. They are constructed resistant to shock, outside impacts and tough vibrations, which makes them ideal for outdoor purposes as they are exposed to the elements and rough winds. These bulbs are widely favoured on building sites as they are able to handle the exposure to large amounts of dust and debris on sites. With LED lighting, as soon as you switch them on they brighten up instantly which is always a bonus, but makes them more useful for the industry and commercial purposes. You can switch LED lights on and off in a series of turns without blowing a fuse or affecting the lifespan, whereas any other lightbulb could take a few seconds to reach maximum light capacity and could blow the fuse of your light bulb. LED lights have no trouble reaching optimum performance in harsh weather conditions, the LED bulb powers through and remains 100% consistent in providing light despite the temperature being freezing or overly warm. Other light methods may find it difficult to perform at all in these harsh conditions, this feature makes the LED light perfect for outdoor purposes or can even be used in freezers rooms. LED lights can be combined in a series of ways and shapes to produce productive light sources, LED’s have the ability to be dimmed, which results in the control of light and colour. Detailed constructed illumination systems achieve unbelievable effects that can influence mood changes and the way you feel about a particular type of light structure or tone. These sort of mood lights are being made more available to the public, and the public has high hopes of incorporating them into everyday life. They are currently occupant in commercial buildings such as restaurants, hotels, schools and aeroplanes, and they are aiming to increase the amount of LED mood structures in the public and businesses across the world – so keep an eye out they could be installed in a variety of places locally around you. LED bulbs produce barely any infrared lighting and close to no UV emissions, this makes LED bulbs ideal for materials or products that are easily affected by heat, and also to illuminate sensitive objects that are easily damaged. So LED lights can save your wallet some money and show our planet some love, they are really helpful, and it’s one of the simplest methods around that can help save our environment. Not only are some of the benefits of LED lighting useful but they are also are available for lower prices than standard light bulbs, they can be fitted as part of our electrical installation in Milton Keynes service. And if you have any problems with your LED lighting fixtures, you can contact one of our electricians in Bedford. We hoped you enjoyed this article and found it helpful if you did then why not share this article with your friends? Industry accredited electricians providing high quality services at affordable prices.